Beyond the Tipperary Brick Bridge, looking back toward the Castle. The "Theatro Verde" is a modern sculpture group that may not be in the Demesne much longer. 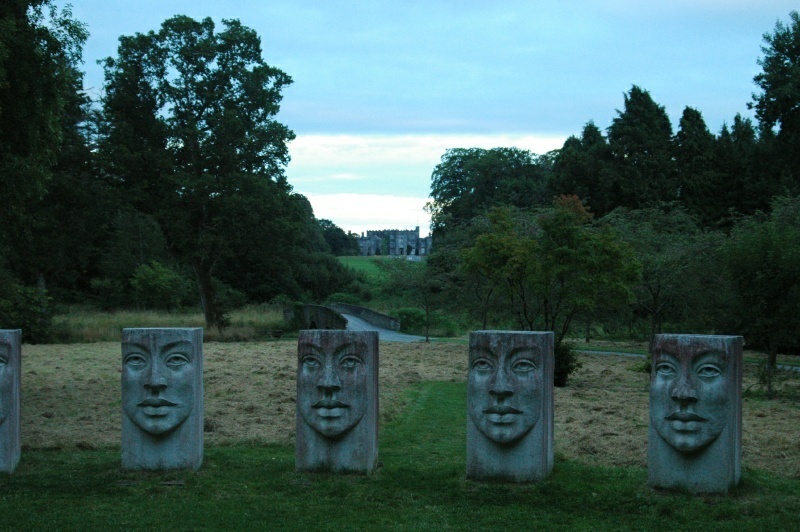 As of September, 2006, Lady Rosse reports that it has been sold by its sculptor to a group in Bray, south of Dublin. The massive stones will require some effort to move, but the people of these islands have a history of moving big rocks around for little discernable purpose, so that probably won't pose a problem.